The BodyCraft multi-gym X-Press pro offers an innovative multi-gym with cable control modul for rehabilitation exercises and specific sports training. 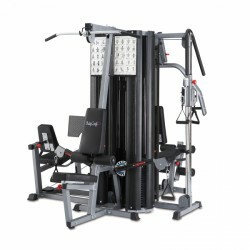 The BodyCraft multi-gym X-Press pro provides several exercising and training possibilities on smallest space. There is no other quality multi-gym offering so many exercises at such a good price! A challenging workout requires high-quality material! 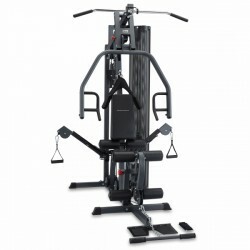 The BodyCraft multi-gym Elite Graphite convinces by its multifunctionality, quality, and design. The Active Balance System and the variable cable machines allow a large variety of exercises and let experience a free weight training. The easy adjustment system facilitates a customised workout. The front and the back thigh muscles can be exercised sitting down with the innovative leg curl attachment. The BodyCraft multi-gym Elite Graphite's very good workmanship and stability provide a great experience of safety during the workout. Decide which color the labels of the BodyCraft multi-gym Elite Graphite should have! 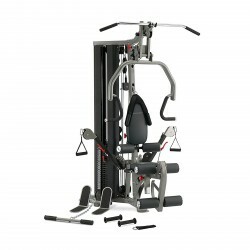 The maximum resistance of the chest press module can be increased up to 135 or even 180 kg. Cable pulls are frequently and willingly used alternatives for classic multi-gyms at physiotherapy practices and at home. They only need small space, but still offer a very great range of movements and an excellent adjustability. The Bodycraft cable pull combines these general advantages with an excellent stability and a very attracting design. The set of our top seller Bodycraft HFT and the weight bench F603 is a real bargain - you save about 100 EUR compared to single purchases. The Home Functional Trainer develops its full potential with the weight bench. The BodyCraft leg press complements the Elite home gym perfectly. It facilitates the targeted training of the gluteal and the leg muscles. Its sturdy frame was designed to withstand heavy use. Get more freedom for your training with the Bodycraft cable pull module HFT. Either Functional Training, sports specific training or strength training – thanks to the wide-range accessory, you have countless possibilities with the Home Functional Trainer of Bodycraft. The new Bodycraft Multi-gym X4 offers large-scale training possibilities, which can be used by four persons at the same time. The multi-gym can intensively be used on studio-level because of its good workmanship and high stability. The leg press, leg curler, chest press, lat-pulley as well as different rope pulley varieties are the most important tools, which can be used in multiple ways. 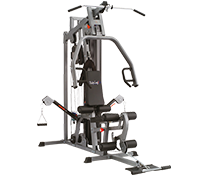 The BodyCraft multi-gym Family X-Press pro is a high-quality strength multi-gym with two weight stacks, cable control and leg press. 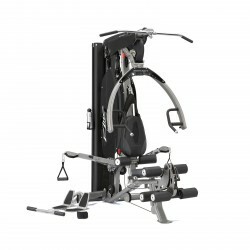 The BodyCraft multi-gym Family X-Press pro offers four training modules with a multitude of exercises. 2 persons can use it simultaneously! Besides the traditional and useful modules as i.e. lat-pull, rowing, leg curl and extension, and chest press, the BodyCraft multi-gym GX is equipped with variably adjustable cable pulleys. A multitude of exercises for rehabilitation or sports-specific training are made possible. Train on a high level at home with the BodyCraft multi-gym GX. 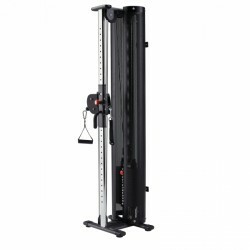 You can effectively train all your muscle groups on just 3sqm with the GX! Solid and rounded steel tubes combine stability with an attractive design! 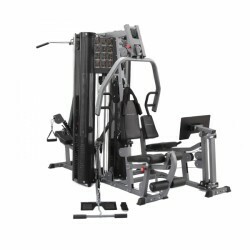 The Bodycraft Smith Machine Jones Freedom is a multi press, offering vertical and horizontal movements. Due to its special workmanship, the Bodycraft multi press provides a multitude of strength training exercises at maximum training safety. A great value of money. It fits perfectly in my flat and allows me to do multiple workouts at home. Quality is great and easy to assemble. Definetely one of my best deal of the year so far. It was easy to assemble and fit just fine in my flat. I could do many exercises with it and the quality is great. One of my best buy in the year so far. Perfect machine with a good price. Fitness multi-gyms of the brand BodyCraft orientate towards the needs of the users, who want to do a holistic and demanding strength training at home and attach great importance to design and quality. The equipment of BodyCraft is also regularly used at hotel facilities or rehab centers and do convince by their functional versatility and attractive design. Stability and resistance or sturdiness of a BodyCraft multi-gym need to be emphasized. Thus, their frame guarantees safety and a long durability. The pull cables are made of steel ropes. These are not flexible and provide a smooth run of the cable pulls, of which the rollers have ball-bearings. Thus you experience a very smooth movement. Purchasing a BodyCraft multi-gym, you buy quality, which will render good and reliable services for many years. 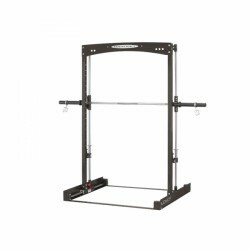 Which further advantages are given for buying a BodyCraft multi-gym? Throughout the production of a BodyCraft multi-gym, great importance is attached to a high-quality upholstery and its good workmanship for a comfortable training. These upholsteries are always neatly sewn and are made of special artificial leather, which is very sturdy. Another advantage of the multi-gym of the brand BodyCraft is the adjustability to the user. Seats and backrests of most BodyCraft machines can be adjusted in height and incline. In addition, several extension possibilities, i. e., the leg press module, enrich your training possibilities enormously, provide even more diversion, and allow a perfect whole body training. Many Bodycraft multi-gyms provide the most modern technical equipment so that a long workout becomes a real experience, whereas all muscle groups are demanded. 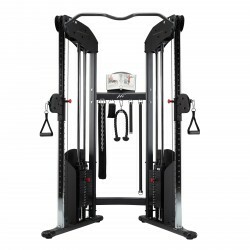 Thus, i. e., the BodyCraft multi-gym Elite Graphite is equipped with the patented Active Balance System (ABS), by which you can easily switch from a guided exercise with the chest press to an almost free training. It's especially great for beginners, who want to start their strength training optimally with guided sessions and to progress step by step with free exercises, which imply an increased coordinative demand, depending on their increase in experience. You can also do perfectly sport-specific workouts with a multi-gym of BodyCraft. 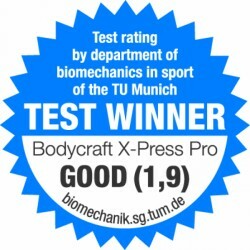 For example, you can do a training of the powerful tennis forehand, the elegant golf swing or a precise badminton smash with the prize-winning BodyCraft multi-gym X-Press pro - a special training for muscle groups for complexe kinds of sport. BodyCraft multi-functional towers are also ideal for regenerative or prophylactic purposes and are also used at phyiotherapies. Leg extension for trained legs. No matter what's your purpose of training or which muscle group you wish to strengthens precisely: a BodyCraft multi-gym helps you to achieve your individual training targets and to keep the fun in exercising.